With producer Jay Joyce (Eric Church, Little Big Town) once again at the helm, the result is a record top to tail with solid grooves, spontaneous feel and stellar musicianship, qualities amply portrayed on the six minute plus single ‘Shoot Me Straight’, previewed live when TJ & John Osborne joined Nashville neighbours The Cadillac Three on a run of UK shows late last year. The track is currently number 1 most added at US Country Radio, and is A-listed at Planet Rock radio in the UK. 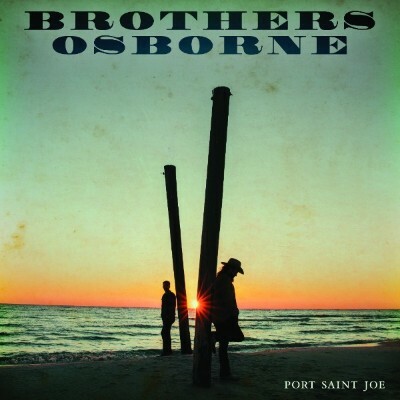 Port Saint Joe is confirmed for release on April 20th in support of which Brothers Osborne will return to the UK and Ireland for their first headline tour in May 2018; this comes in the wake of an inaugural appearance at last year’s Country2Country extravaganza, which was followed by a one-off, sold out headline show at Dingwalls in London, and the aforementioned run with The Cadillac Three. The Brother’s signature sound – an emotive, finely-crafted blend of country tradition, commercial sensibility and roots rock power – sees their status and success continue to rise; in addition to two Grammy nominations, plus an emotive live performance at the 2018 Grammys (with Eric Church & Maren Morris, a Tribute to the victims of the Route 91 massacre), they won big at the recent Country Music Association Awards (the CMAs) in Nashville, taking the honours in two categories – Vocal Duo of the Year and Music Video of the Year (‘It Ain’t My Fault’, a track from the Pawn Shop album).